The Minot State University Summer Theatre begins its 46th season with the musical "The Drowsy Chaperone," running from June 14 to 19. The play is based off the book written by Bob Martin and Don McKellar. Aili Smith, MSU assistant professor of humanities, is directing this production. This story follows an old, worn-out musical theatre fanatic who decides to listen to his favorite 1927 musical soundtrack. The musical comes to life, literally, in his living room. The musical travels with a young man seeking a Broadway starlet with whom he can find love, win and keep love and make it to the altar against all odds. "The Drowsy Chaperone" features actors learning tap dancing to the music and lyrics by Lisa Lambert and Greg Morrison. This play features toe-tapping music, with song titles like "Cold Feet," "Bride’s Lament," "Toledo Surprise" and "Show Off." New York’s Variety magazine describes "The Drowsy Chaperone" as a "refreshing cocktail of a show that gets the audience on its side in the opening minutes and keeps them there for the duration." 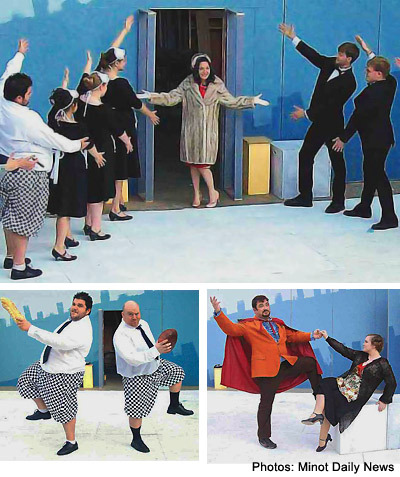 The Minot State University Summer Theatre brings the new version of Arthur Sullivan and W.S. 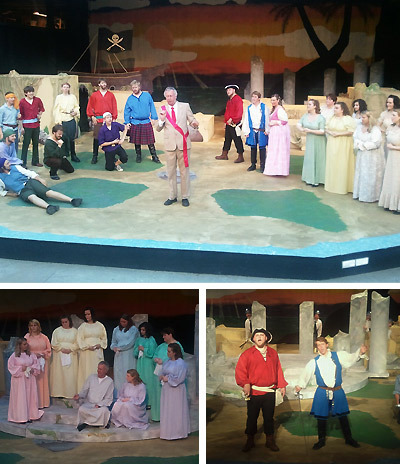 Gilbert’s "The Pirates of Penzance" to the stage July 7-11. Minot High School Central Campus instructor Chad Gifford, who is a Summer Theatre and MSU alumnus, is the director of this colorful costumed play. Gilbert and Sullivan’s updated operetta has more action and is more contemporary than the first version that hit the Broadway stage nearly 100 years ago. The story follows the love between Frederic, who is released from his apprenticeship to a band of tender-hearted pirates, and Mabel, the daughter of Major-General Stanley. Upon finding out that he must serve 63 more years apprenticed to the pirates, Frederic hopes that Mabel agrees to faithfully wait for him. "The show is filled with beautiful music and a cartoon-like atmosphere," Gifford said. "It is both beautiful and funny, all at the same time." 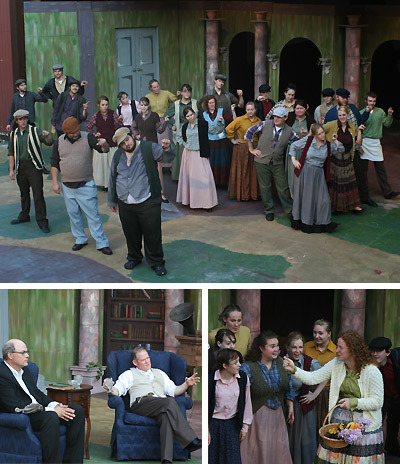 Conrad Davidson, professor of communication arts, will direct the musical "My Fair Lady" July 21-25. Based on George Bernard Shaw's "Pygmailion" and the book and lyrics by Alan Jay Lemer and music by Frederick Loewe, the story concerns Eliza Doolittle, a Cockney flower girl who takes speech lessons from professor Henry Higgins, a phoneticist, so she may pass as a proper lady.